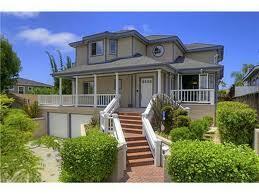 Pacific Beach Houses are among the most desirable in the San Diego area. Let me ask you a question. Who doesn't want to live at the beach? I've been to Pacific Beach on many different occasions and it never gets old. Try going there during the summer and tell me you don't like it. If you are an interested buyer, properties types consists of detached single family homes, condos, townhomes and multi-unit complexes. Pacific Beach Homes for Sale range from $200,000 to several million for Ocean Front Property. PB is located within the city of San Diego, between the Pacific Ocean and Mission Bay Park which is a 4,500 acre water recreation area that is a vacation paradise. Just north of Pacific Beach along the coast is La Jolla and just south is Mission Beach, Ocean Beach and San Diego. This area is well-known for its nightlife, coffee houses, nightclubs and restaurants. Most of the retail is located on Garnet Avenue and Mission Boulevard. Beyond this area the neighborhoods exude a small town, relaxed atmosphere with most businesses locally owned. If you are an investor, buying rental property in this beach community almost guarantees good rental income. Who doesn’t like to live at the beach? If you are looking to make Pacific Beach, CA your home, two of the most popular area’s are Crown Point and Tourmaline (a great surfing spot). In Pacific Beach there were a total of 219 homes sold at an average price of $1,000,000. Prices ranged from $245,000 to just over $5,000,000. Great opportunity for investors (who like passive income) and for families who want to make Pacific Beach their permanent home. There were a total of 239 condo/town homes sold at an average sales price of $592,000. At the height of the market these same properties were selling for an average price of just over $680,000. See all Pacific Beach homes below. Pacific Beach, a great place to live!